Hey Friends, Hope you liked our previous post. Today we are coming with an popular post that which are the types of links are available on web that will ruin, banned and vanished your website or blog? There are hundred of reasons are available on web via the websites and blogs got penalized. Many bloggers and webmasters ruin their sites by doing this immature work just for the sake of getting pagerank and improving alexa rank. So, let’s have a look at these links that could easily put your website or blog into trouble. Do not purchased the links for your blog or site. Many bloggers and webmasters purchased links just for the sake of getting pagerank and improving alexa rank. But this is a wrong methods, i am saying again and again don't take shortcuts to improve your site condition. There are plenty of websites get banned and vanishes from the search engine ranking. Do not provide the links on footer. If you do this Google will not spare you and may be you will get punished and your site get banned. So beware! Generally footer is used to enhance the navigation structure of your site. So stop doing these spammy activities. Many bloggers hide the links from the visitors, you think it is a good idea but dear friends if you want to know how you can ruin your website? Than this is the another link which vanished your site. If your site has an hidden link just like your site background color than immediately removed it, because an Google has an eye on you and on your site. 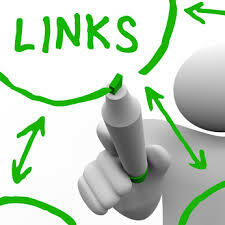 Many bloggers provide an links which is not relevant to the niche. So always remember that your site links must be relevant to your niche. When you are trying to build links for your website, always target those top quality websites that belong to your own niche.